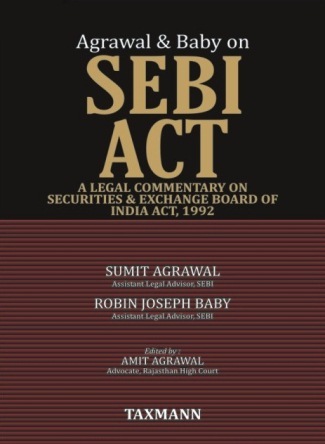 The book ‘SEBI ACT’ serves as the first comprehensive legal commentaries on the SEBI Act 1992. The book chronicles the evolution of securities law in India and provides insights on the road ahead. Written lucidly, the book is intended to address and assist judicial officers, legal practitioners, regulatory officials, academia, securities market professionals and students of law. SEBI ACT is first full-fledged academic study of the Securities Laws in the country. The book also analyses the practices followed by Securities Regulators around the globe. The book aims to simplify the process of research and provide a “one stop” source for any one desirous of understanding the legal framework of the Act.